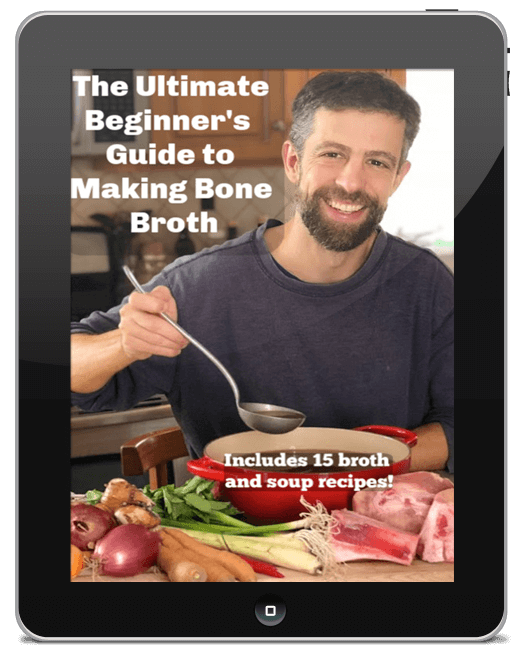 Are You a Bone Broth-Making Newbie? 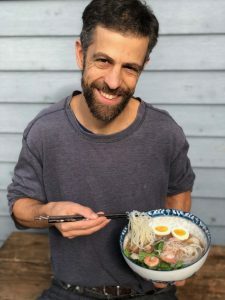 Hi there, I’m Craig Fear, and for years as a Nutritional Therapy Practitioner I recommended bone broths to clients for their gut-soothing qualities. However, I learned that making them at home was overwhelming for many. So I put together my FREE Ultimate Beginner’s Guide to Bone Broth to help anyone get started. It’s so easy! Included in this free guide are recipes for 4 simple broths, with 3 bonus soup recipes for each broth (12 total) including Potato Leek, Portuguese Kale and Italian Meatball Soup. You’ll also get 15 time- and money-saving tips including where to find good quality bones and how to make multiple batches from the same bones. Also included is my list of must-have kitchen resources such as quality stock pots, strainers, recipe books and more. When you download the free guide you’ll also sign up for my newsletter, the "Thursday Nite Soup Club," where I share weekly soup recipes from around the world, how-to videos, digestive health tips, tips to simplify cooking and meal prep, and all sorts of cool stuff that will help you make broth and soup-making more healthy, creative and fun! You're email address will never be shared, and you can unsubscribe anytime!